painting Description Tanjore Style Painting on Glass is very similar to Tanjore Style Painting but the difference is the base. Tanjore Style Painting of Glass is based on glass in stead of ceramic. 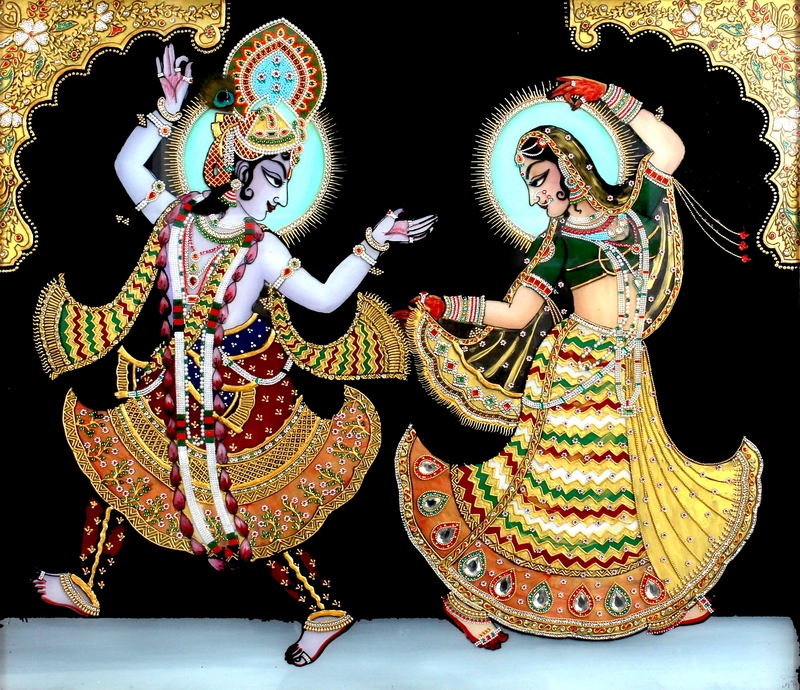 In this Glass Painting, the artist has tried to paint the dancing mod of picture of Lord Krishna and Radha. Tags Glass Painting of Dancing Radha Krshhna, Glass Painting of Dancing Deity Radha and Lord Krishna, Glass Painting of Dancing Lord Krishna and Deity Radha.